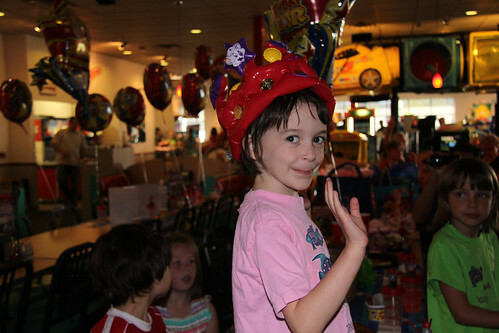 This year Reagan decided she wanted a birthday party at Chuck-E Cheese. 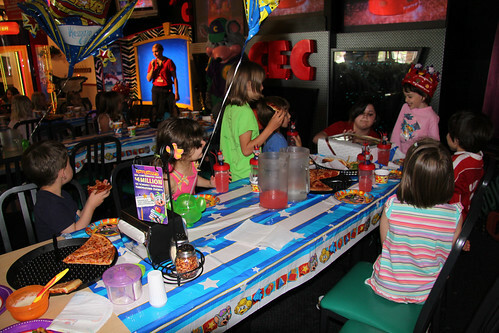 Now Chuck-E is a good 30 minutes from the house so this meant a small party with just a few of her closest friends. It was was a bit crazy at times. 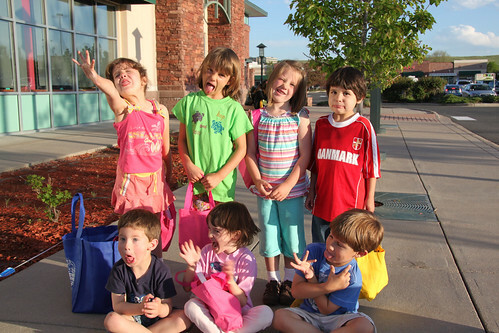 But the kids had a blast. Her actual birthday was about a month ago but with spring break, Boston, etc. the party was a little late. How cool to have your birthday spread out so long. 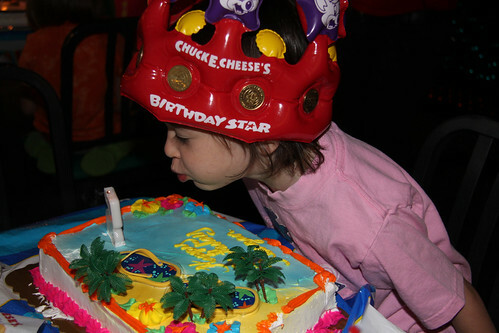 Here is the special hat for the birthday girl. Complete with tokens and all! We got our own birthday table right up front. Along with our own party girl. 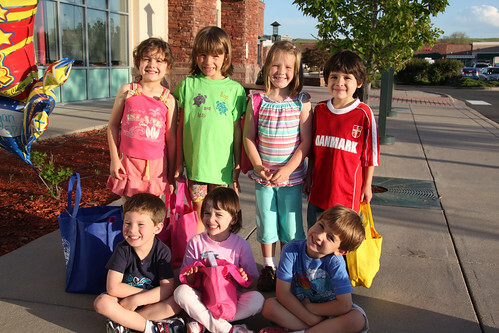 Which helped out enormously given that there were 8 kids and only two parents. 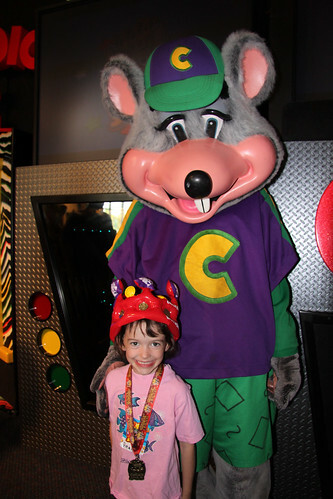 Reagan got a visit from the Big Cheese himself. Everything went really well until the crazies set in. Then it was time to head home. Another great party. 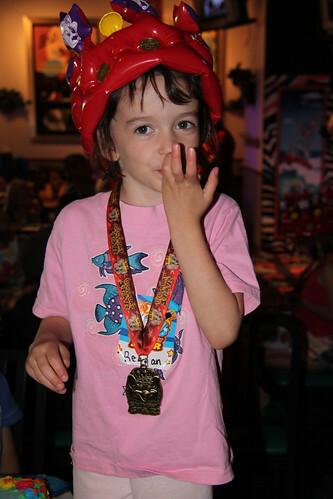 Happy 5th Birthday Reagan! Here is some video of the big event. Reagan’s 5th Birthday Party from Brandon Fuller on Vimeo.